Why I love my life: Suffering from flu/sinus!! Not fun!! Suffering from flu/sinus!! Not fun!! For the past few days I have really suffered from a good bout of sinus, and then I got hit with a flu virus--thank goodness I am getting the flu under control a bit more---useful medication and some sleep. But the sinus is a real pain! 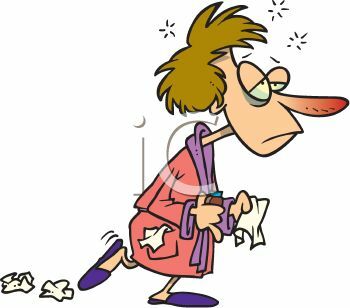 I have felt listless and tired, and it is hard to breathe properly..reminds me of the first symptoms I had of pneumonia a few years ago now.....don't think it is--just not very nice right now. I will..but am taking this time to get better and stronger, and hopefully more entertaining! Curlews - What an experience! OK--Here is where I become philosophical!